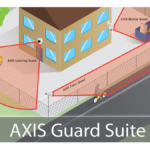 Axis Communications introduces its first explosion protected network cameras. 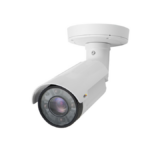 XF40-Q1765 Explosion Protected Fixed Network Camera and XP40-Q1765 Explosion Protected PTZ Network Camera both feature a 316L stainless steel housing certified for hazardous areas according to ATEX, IECEx, cLCus and Class I, II/Div 1 for OSHA, among others. The housings are manufactured and certified by Oxalis Group Ltd in the UK, a specialist provider of communications and security solutions for hazardous areas, and fitted with customized AXIS Q1765-LE Network Cameras. The cameras are supported by the industry’s largest base of video management software through the Axis Application Development Partner Program, and AXIS Camera Station. The cameras also include support for AXIS Camera Application Platform and ONVIF for easy camera system integration and for application developers to provide the camera with intelligent capabilities. by admin	1. October 2015 0 Com.